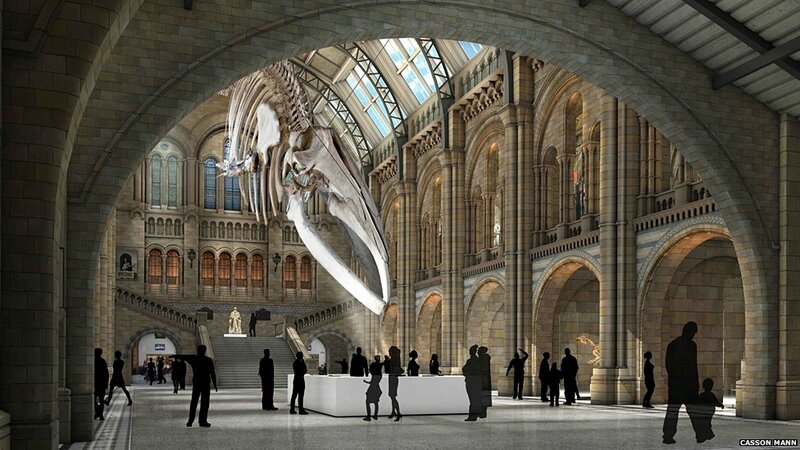 Either decision makes sense to me, although it’s worth remembering that the Natural History Museum already has a vast model of a blue whale hanging from the ceiling in the whale hall. 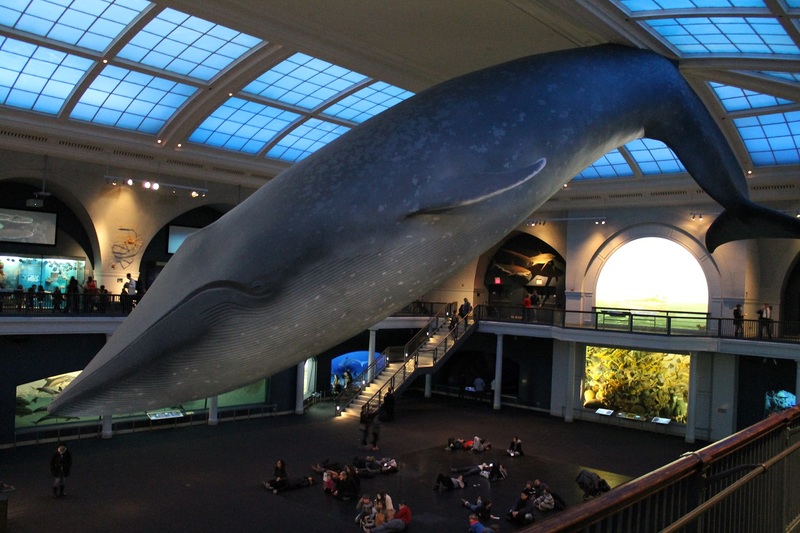 It’s one of the most impressive things in the museum and for people like me who first visit the museum as very young children, both the dinosaur and the whale stick in your memory forever. Whatever they place in the entrance hall will be fantastic and, what’s more, the Natural History Museum is free to enter so it will still be a major player in educating and exciting people about whales, dinosaurs and animals in general. They also have a dodo model and a preserved coelacanth in there. So it’s good to provoke debate and the museum authorities should take brave decisions to keep their collection relevant. The advantage of all this is that Dippy will go on tour: people are already asking for him/her (?) to come up north to Newcastle: http://metro.co.uk/2015/01/31/ex-football-club-chairman-wants-to-ship-dippy-the-dinosaur-up-north-5043893/. I had no idea the NHM had a whale hall, much less a blue whale model already on display! That does make the switch seem a bit redundant, doesn’t it? So yes, you could say the museum already cover ceteceans. I agree 100%. I find this idiot act of cultural vandalism profoundly depressing. 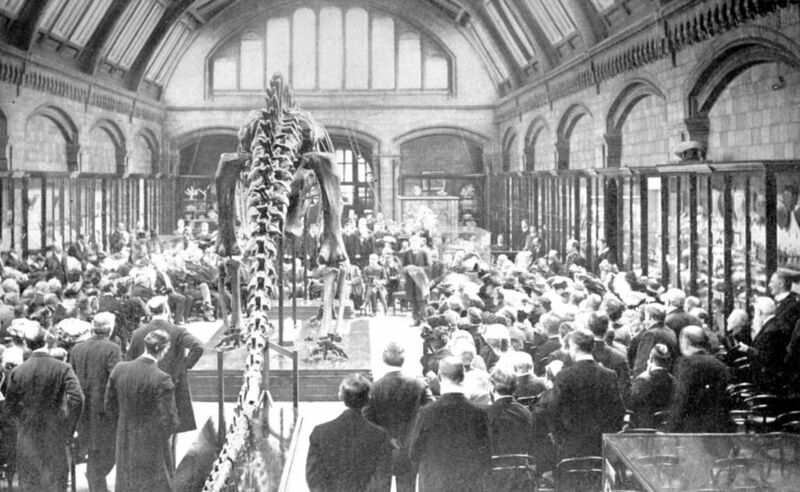 If I may correct you, the London ‘Dippy’ was in fact the first sauropod on public display, if only for three days in early July of 1904, in the Pittsburgh Exposition Society Hall. Thanks for the correction. I decided quite arbitrarily for the purposes of my writing that only a permanent display counts, but like I said above a case can be made for either! Oops. Missed your footnote completely. Sorry to be a pedant. Nitpicking aside: “The NHM’s rhetoric in favor of the whale unfortunately reinforces the idea that past life is dead, gone, and irrelevant. Nothing could be futher from the truth.”. This. Even though I can appreciate the museum’s wish to remain relevant, referring to Dippy as ‘just a copy’ doesn’t do it justice on a number of levels. Also, I have the feeling that natural history museums are often afraid of historicizing their collection too much for fear of ending up with a museum-of-a-museum (like in Paris); which can lead to change for its own sake. I don’t see why something similar couldn’t be done with Dippy. Exactly. The Natural Museums in Brussels had to deal with this question because it can’t really take apart its old Iguanodon mounts without doing damage to them. The solution they arrived at was to make the difference between these historical mounts and modern interpretations explicit, and in doing so adding an important layer of meaning to the museum as a whole. One problem is that the NHM continues to perceive Dippy as exclusively a natural history object, and judges it by those standards alone (and even doesn’t judge it very well, apparently). Its meaning as a historical and cultural piece, specifically within the context of the NHM and London in general, gets totally lost. Finally, it may be interesting to know that UNESCO considers any museum display that has had a more or less unchanged curatorial history for more than (IIRC) fifty years, a piece of cultural heritage. Save Dippy! The Diplodocus skeleton in the hall looks so much better than a Blue Whale skeleton. 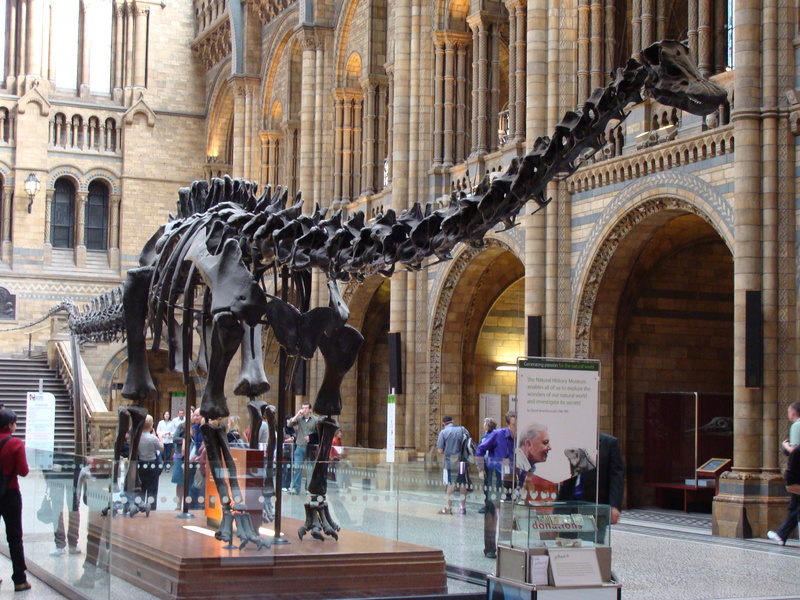 I was initially very disappointed with the news, and I completely agree with your last paragraph on the scientific relevance of Dippy – the NHM is designed to teach us about the natural world both past and present, after all. After some thought, I have come to accept the whale, but I will look back fondly on seeing Dippy in the main hall whenever I visited the museum.